What I learned in my Oklahoma travel was both illuminating and alarming. The rise of drug abuse in rural Oklahoma is substantially greater than in urban areas. The big increase in rural areas is methamphetamine abuse and methamphetamine manufacturing in illicit laboratories. This was validated not only by law enforcement in Oklahoma, Texas, Mississippi, and Arkansas, but also by such leading addiction experts as Dr. Lloyd Gordon, head of COPAC (Conducive Outpatient Addiction Center) in Jackson, Mississippi where I recently lectured at a medical school. He indicated that there has been a huge increase in methamphetamine labs in rural Mississippi. Law enforcement officials I interacted with confirmed that a good deal of the drugs and violence that they encounter is methamphetamine-related. In particularly this rise in speed in rural America is a growing major force in domestic violence. There is a link between the rise in methamphetamine use, black market speed labs, and domestic terrorism. One of the memorable and chilling aspects of my travel through Oklahoma City was a visit to the Oklahoma City bombing site where Timothy McVey blew up the federal building which killed hundreds of men, women, and children. There is evidence that McVey, Nichols, and his cult of conspirators were both financed and deeply involved in methamphetamine. One only has to interact with "speed freaks" to learn where such bizarre and irrational ideas such as blowing up a Federal Building can come from. Oklahoma law enforcement and public defender legal establishment confirm that the majority of the 150 people on death row in Oklahoma have a history of substantial substance abuse problems. In fact, up to 80% of the people in the criminal justice system in both Oklahoma and Texas have significant substance abuse problems, but very few get treatment. On a per capita basis, of all the states, Oklahoma is the number two death penalty state, surpassed only by Texas. In one of the cases that I was involved in, a vigorous public defender raised the accused killer's serious substance abuse history. It was a mitigating factor in her getting life with parole instead of the death penalty. However, in the second case despite the fact that the accused, a black man, was deeply involved in drinking over a fifth of alcohol a day, smoking two PCP joints, and using crack cocaine he was still convicted of first degree murder with the death penalty. My involvement was to raise the substance abuse issues during both the appeal and clemency process. In the second case, the man who did the killing was a chronic substance abuser, intoxicated with alcohol and PCP at the time of the crime. The victims also had blood alcohol levels of .14 to .15 and blood PCP levels of .03 micrograms per liter at the time of the crime. The killer was operating under a very elaborate delusional system. The prosecution emphasized that some of the observers said he walked in a normal fashion, rejecting the whole concept of physical and behavioral tolerance. They said that this level of PCP would have minimal impact on the individuals' thought process and behavior. By the time this is published he will have been executed in the state of Oklahoma, as I'm sure will several others who have had a history of substance abuse and committed heinous crimes. In my opinion, some who had substantial substance abuse problems should have gotten a lesser penalty or even an opportunity for diversion to treatment. 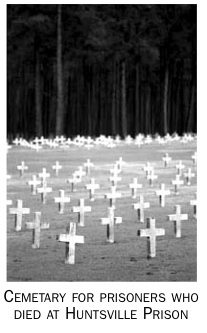 As a result of their disease progressing and the resulting crime, they will get the death penalty. Some of those who are executed will be innocent. 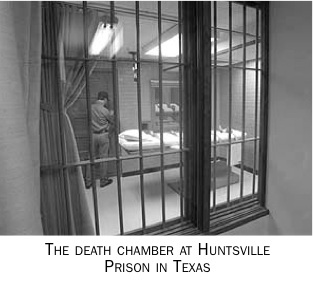 The New York Times reported that Texas has executed 300 people since 1977. More defendants from Harris County near Houston, Texas have been executed than anywhere else in the country. If it were a state, Harris County would rank third behind Texas and Virginia in total executions since 1977. A review of the Houston forensic laboratory found that technicians had misinterpreted data, were poorly trained, and kept shoddy records. They mishandled all available evidence, while defense experts were barred from refuting or verifying the results. The laboratory's building even had a leaky roof that contaminated evidence. A recent retest of DNA found that an individual judged guilty was in fact innocent. William C. Thompson, a professor of criminology at the University of California at Irvine, who had studied the Houston police laboratory's work stated, "The likelihood that there were more innocent people convicted because of bad lab work is almost certain." David Dowel, the University of Houston law professor who represents death row inmates in capital appeals, has indicated that these lab errors leading to convictions are probably the tip of the iceberg. He stated that there were two different problems in the crime lab: "scientific incompetence and corruption." Professor Dowel said, "That's a deathly combination. Once you have corruption there is no reason to think that this is limited to DNA cases or any scientific evidence of any sort. Without appeal an individual in question may be executed by now." It is clear that there is great variability in laboratory testing in the United States. Some are regulated by agencies such as the Department of Transportation that invokes a medical review officer with very high standards. Otherwise, particularly in the criminal justice system, unless the defendant has a good lawyer and an independent laboratory test, a medical expert is not required. ASAM's Forensic Addiction Medicine Sciences Committee, chaired by Robert DuPont, MD has organized forensic science training seminars to raise the standards of addiction medicine physicians in forensic issues. The Medical Review Officer (MRO) Committee, chaired by Ian McDonald, MD, has organized MRO training courses which focus on the requirements of the Department of Transportation (DOT) and role of the medical review officer in that context, but have evolved as a laboratory urine testing course for doctors in addiction medicine. Just as ASAM and the Department of Transportation have pushed to raise the standard of testing in safety sensitive positions, we should push to raise the standard for all substance abusers in the criminal justice systems. Each should have an adequate substance abuse evaluation. More importantly this would make available earlier intervention for such individuals and diversion from the criminal justice system. The lack of treatment of people's addictions prior to the progression of their disease, often results in costly and damaging crimes in our society. David Smith is the Founder and Medical Director of the Haight Ashbury Free Clinics and is Medical Director of the California Department of Alcohol and Drug Programs. He is a member of both the ASAM Forensic Addiction Medicine Sciences Committee and the Medical Review Officer (MRO) Committee.